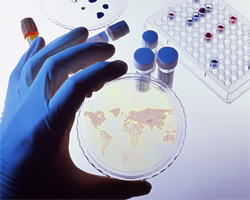 Protein CT Biotechnologies offers a selection of products covering various aspects of protein functional research. Our list of reagents include nucleic acid purification kits, PCR cloning kit, PCR and RT-PCR master mixes, pre-made and expression ready DNA clones, transfection reagents, catalogue proteins, peptides, catalogue antibodies and ELISA kits. We also offer a collection of small instruments to bring convenience to daily lab operations, including a dual function protein gel staining/transfer device and accessories, and a series of automatic mammalian cell counters applicable for routinely used cell lines as well as for primary and stem cells. Our offerings cover cancer and disease studies, stem cell research, neuroscience, epigenetics, cardiovascular research, viral infections studies and more. Our selection of products is constantly growing to meet your research daily needs, facilitating basic research and drug development R&D. We also offer a comprehensive line of services from gene synthesis, molecular biology, protein/antibody production, protein engineering, protein characterization, stable cell line construction, structure biology services, and more. To order, simply fill out the order form and submit to: order@proteinct.com. Orders can be placed by phone, email, fax, or online with a formal PO (Purchase Order) . You may contact us anytime for assistance.